Since message tracking in Exchange 2007/2010 does not have the same intuitive interface as we have in Exchange 2003, performing message tracking can be tricky. Most people do not need to use message tracking in their everyday work and therefore it’s hard to really get hands-on practice. I have collected a few samples that might help you in your Message tracking adventure. Then we could use Excel to work with the data we just exported. If you ever wondered how long it takes for your browser to close after opening OWA ( outlook web App) if there is no activity? here are the measurements. For whatever reason you may have if you decide to change these default values here is the link how to get the work done. The simplest way to achieve desired goal is using PS. Let’s say we will increase the Public cookie time out settings from 15 minutes to 25 minutes. copy and paste above PS code into EMS ( management Shell) , adjust the time as you wish , in this case we are going to set it to “25” minutes…. 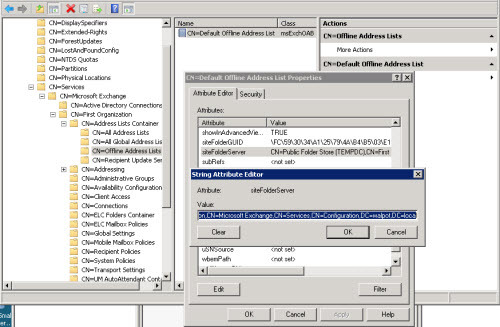 The first time that the user name and password are sent to the Client Access server to authenticate an Outlook Web App session, an encrypted cookie is created that’s used to track user activity. When the user closes the Internet browser or clicks Sign Out to sign out of their Outlook Web App session, the cookie is cleared. The user name and password are sent to the Client Access server only for the initial user sign-in. After the initial sign-in is complete, only the cookie is used for authentication between the client computer and the Client Access server. Some of you might get comments from users about the Exchange quota e-mails. Not just that the mailbox quota limit is ridiculously low in comparison to Google or any other free e-mail provider, but also about the message being unclear. To solve that Microsoft enabled us admins to set custom text for the quota e-mails. 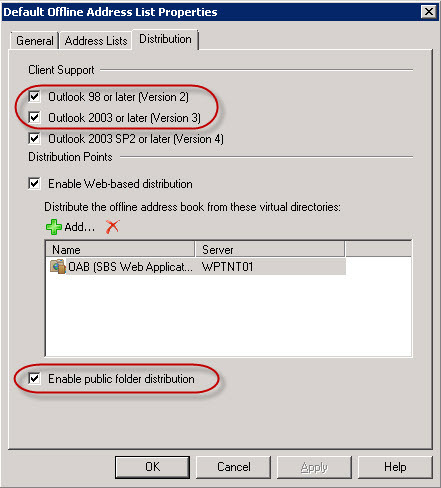 It’s not possible to change the sender, quota bar (Exchange 2010) or subject. To change the message you’ll have to create them with the New-SystemMessage cmdlet. The default texts are not accessible with the Get-SystemMessage, but if you want to reset the message back to the default you can use the Set-SystemMessage cmdlet with the -Original switch set to $True. You can use HTML in the text, however I’m not sure if there are any limits as to what HTML tags are allowed. New-SystemMessage -QuotaMessageType ProhibitSendMailbox -Language EN -Text "Your mailbox can no longer send messages. Please reduce your mailbox size. Use AutoArchive to archive old messages from your mailbox and empty your Deleted Items folder. Contact Office IT if you need help with this." Also make sure that you’re using the correct Language (EN for english) switch. Changing a system message can be done by using the Set-SystemMessage. You’ll have to use the identity switch to select the system message to change. For the quota messages this is done by putting the language first followed by a backslash and the quota message type (EN\ProhibitSendMailbox). If you want to get rid of the custom system message you can use the Remove-SystemMessage cmdlet.